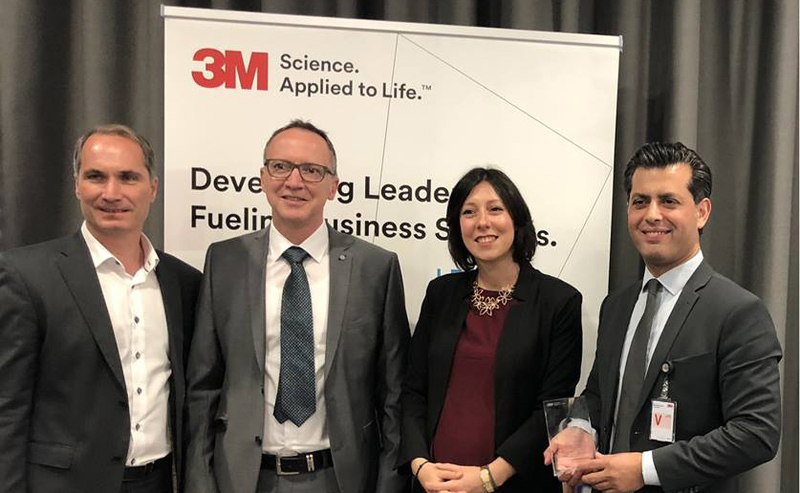 This marks the fourth time that Framo Morat has been named the winner of the “Supplier of the year” award by 3M EMEA GmbH. Specifically, the management at 3M praised our high innovative ability and excellent project implementation at the award ceremony. In addition, 3M wanted to acknowledge our fair and reliable work ethic—these are values that 3M considers to be the basis for cooperation as partners. Numerous dentists and orthodontists have Pentamix mixing devices in their offices. They rely on the Pentamix when they need impression material with an even, consistent mixture for precise dental impressions. In search of an innovative supplier for the new design of the Pentamix 3 model, 3M began correspondence with Framo Morat in 2004. The challenge was to design the new drive solution to make it less noisy and smaller than the preceding version while being twice as powerful. By successfully implementing the design, Framo Morat established itself as a strategically important development partner and supplier for 3M in future projects as well. A two-chamber cartridge is inserted into the Pentamix 3 mixing device. Two reciprocating pistons driven by push/pull actuators are there to put pressure on the cartridges. Two separate motor-gear units drive the push/pull actuators and the mixing unit. The push/pull actuator turns the stroke movement by almost 180°, which results in a very low installation height. The two chambers of the cartridge contain a bonding agent and a hardener. The two substances of the mixture are pressed onto a catch plate, where they are mixed using a stirring rod. After that, they can be used for the dental Impression.